Is the Test Bench a machine or an instrument? Are the test benches to be considered machines or instruments? We do not know a certain answer, but we know the test benches because we have been doing them for over 40 years! 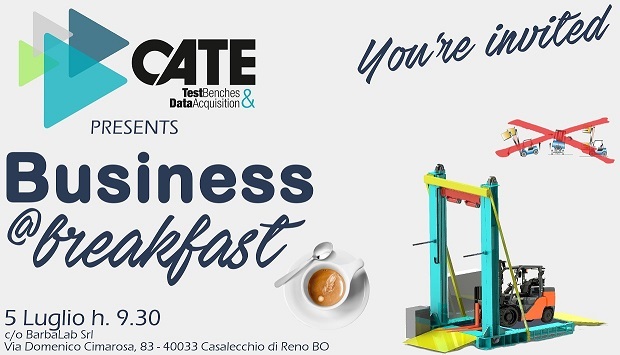 Cate will be at the next edition of the A & T Automation and Testing trade fair, an event dedicated to Industry 4.0, measurements, tests, robotics and innovative technologies. 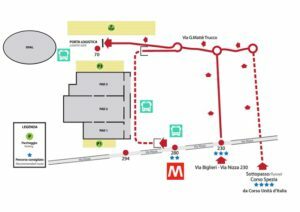 The event will be held at the Lingotto of Turin from 13 to 15 February 2019. Download now the free invitation HERE and visit us at booth B17! We will remain closed for summer holidays from August 6th until August 20th. 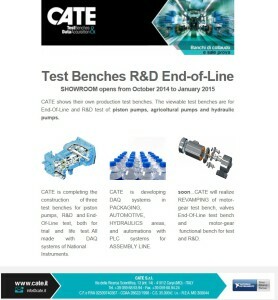 Launch of innovative end-of-line test system with load simulation. 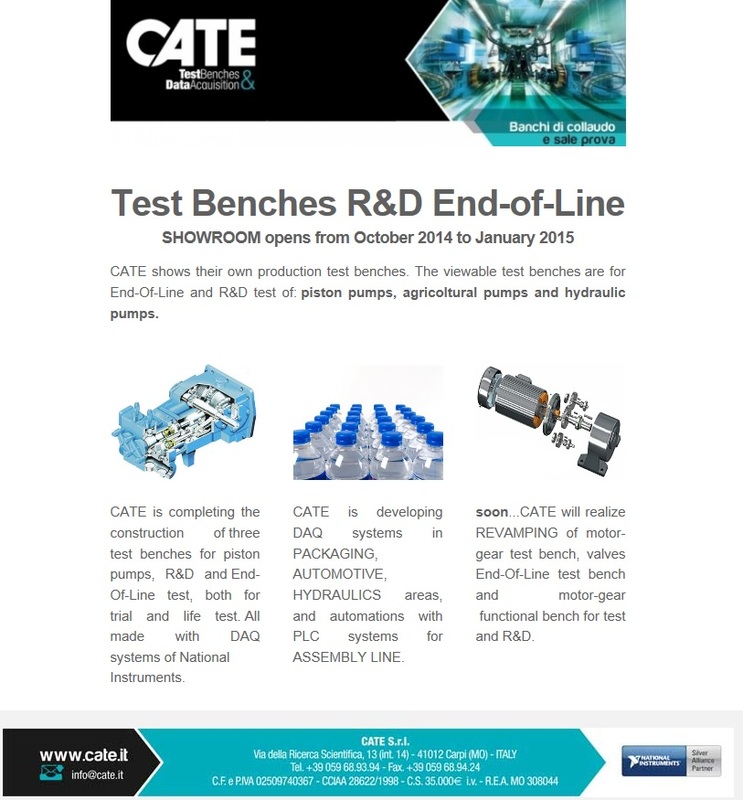 CATE shows their own production test benches. The viewable test benches are for End-Of-Line and R&D test of: piston pumps, agricoltural pumps and hydraulic pumps. CATE on NIDays 2012 – What future will you invent? search engine on NIDays 2012 – What future will you invent? Access to Reserved Area to download the file.